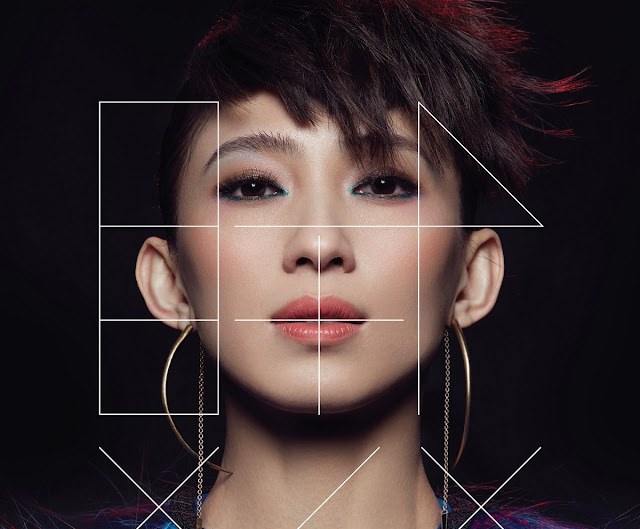 Singer-songwriter Penny Tai is set to hold her solo concert in Malaysia for the first time in five years. As reported on Epoch Times, the singer, who kicked off her Thief Asia Tour at the Taipei Arena in 2016, revealed recently that she is staging a homecoming concert after choosing Malaysia as the final station of her tour. "There is a satisfying feeling of making Malaysia the final station. We're coming back against all odds," she said. Penny will be holding her upcoming show at the Axiata Arena, Kuala Lumpur on 11 August. 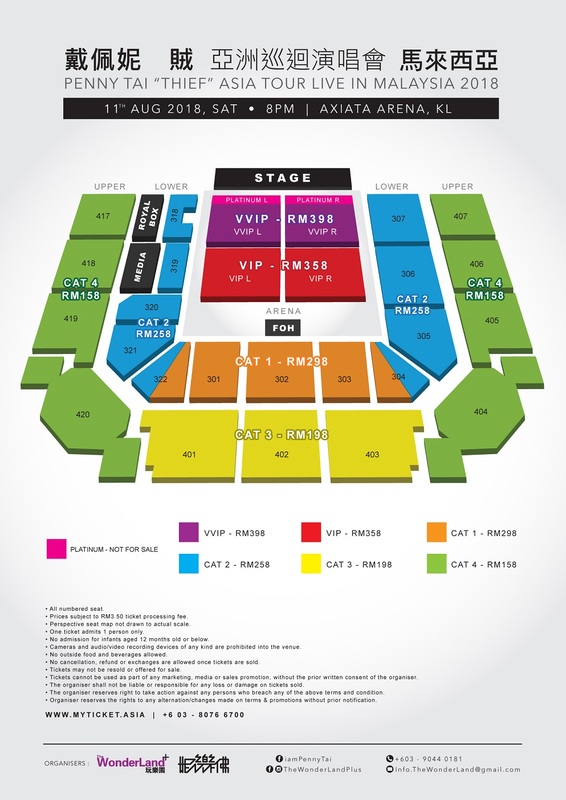 Tickets will be on sale beginning 1 June - with the cheapest seat priced at RM158 and the VVIP seat at RM398. 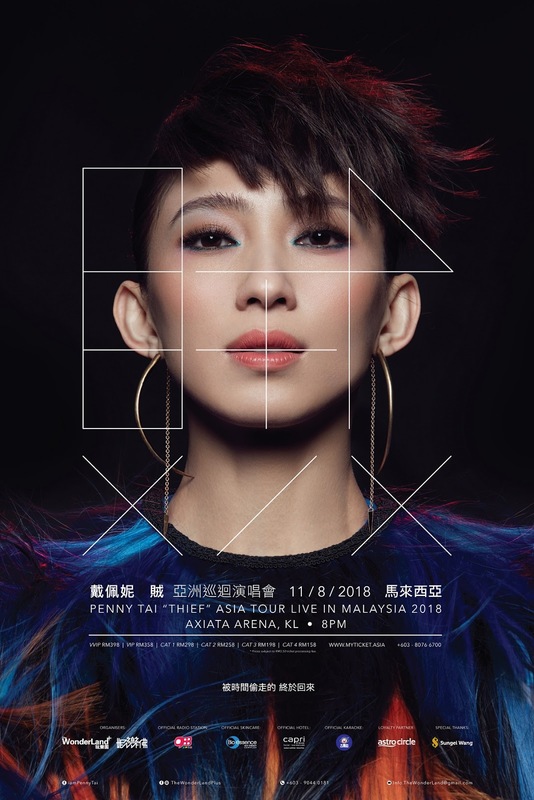 According to sources, the tickets are sold at the most favourable fare for a Malaysian concert in recent years, even cheaper than when she held a show in Genting Highlands a few years ago. "I asked my colleagues before the price was announced whether the cheapest and most expensive tickets are considered the lowest price. They said yes, so that's good," she said, adding that she hopes to give back to her loyal Malaysian fans.